Twelve Palestinian refugees were killed in Syria on Friday during attacks by the regular army, raising the death toll among Palestinians, who have been killed since the start of fighting in Syria, to 843. The workgroup for Palestinians in Syria said that the killing was the result of the explosion of a car bomb in Sbeineh refugee camp, in addition to the targeting of the camp by the regular army's aircraft and snipers' bullets. 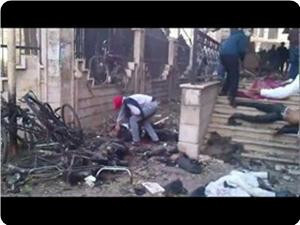 The group said in its official Facebook page that the Yarmouk refugee camp has also witnessed violent clashes between the free army and the regular army, and that a car bomb had exploded in al-Rijah courtyard in the camp, causing significant material damage. It noted that the regular forces, deployed at the entrance to the Yarmouk refugee camp, have been preventing the entry of gas, medical supplies and food, and appealed to the local and international authorities to intervene in order to end the suffering of the camp, particularly the hospitals. Armed confrontations between the free army and the regular army have also erupted in Husseiniyeh camp and Handarat camp in Aleppo, resulting in the killing of a number of refugees and the injury of many others. Meanwhile, the residents of al-Aydin refugee camp in Hama have been suffering from power outages in most of the camp's areas for several days in addition to shortages of basic foodstuffs. The workgroup for Palestinians in Syria added that an armed group had attacked a vehicle carrying food aid to the Neirab camp in Aleppo, and seized all its contents. A senior Israeli official says the United States is gearing up for a possible military intervention in Syria to prevent Syria's alleged chemical weapons from being used against civilians or falling into wrong hands. Israel’s Minister for Strategic Affairs Moshe Ya'alon told Israel Radio on Thursday that Israeli officials were in close touch with their American counterparts about the latest developments in Syria. He added that at the current juncture there was no fear that Syria would use its alleged chemical weapons against Israel. Ya’alon refused to comment on media reports that Prime Minister Benjamin Netanyahu had secretly met with Jordan's King Abdullah in Amman to discuss Syria's alleged stockpile of chemical weapons. During the meeting, Netanyahu proposed a coordinated Israeli-Jordanian lightning air strike to destroy Syria's alleged stockpile of chemical weapons. Jordanians, however, have reportedly declined the option over concerns that it would cause chemical fallout around the target sites. Israel then proposed a second option, a comprehensive joint military incursion into Syria. The operation would include at least 8,000 soldiers entering Syria from different directions to neutralize the alleged chemical weapons sites. The Jordanians did not support the Israeli proposals, but they did not completely reject them either. Foreign-backed militants, however, have reportedly formed a company which has already used chemical weapons in battle against Syrian armed forces. 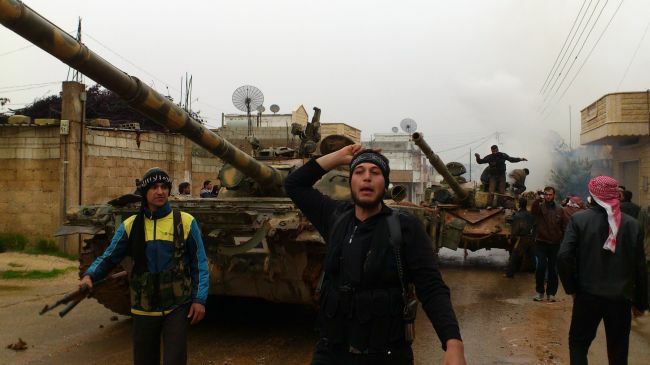 However, in their propaganda, they have tried to incriminate the Syrian army for using such weapons against civilians. On December 22, Syrian rebels used chemical weapons against the Syrian Army in the town of Daraya, located eight kilometers southwest of Damascus. At least seven Syrian soldiers were killed after they were attacked by a chemical weapon which produced a toxic yellow gas. Syrian militants have also threatened to contaminate Syria's drinking water supply in a bid to kill all Alawite Shias and the supporters of President Bashar al-Assad. Syria has been experiencing unrest since March 2011, and many people, including large numbers of security forces, have been killed in the turmoil. The violence resumed in Yarmouk refugee camp of Syria on Saturday and resulted in the killing of nine Palestinian refugees. 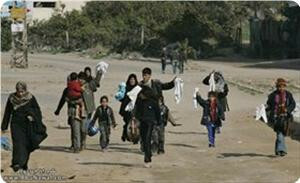 Consequently, the Palestinian death toll rose to 806 victims killed during attacks on different refugee camps in Syria. The action group for the Palestinians in Syria said the armed clashes between the regime army and the Syrian free army returned to Yarmouk camp, especially on street 30. Many soldiers were seen positioned at all entrances leading to the camp and snipers topped the roofs of homes in different areas. In Husseiniyeh refugee camp, a Palestinian woman was killed when a shell fell near the old bakery. Israel says readying for fall of Syria govt. Israeli Prime Minister Benjamin Netanyahu says Tel Aviv is getting ready for the fall of the Syrian government. 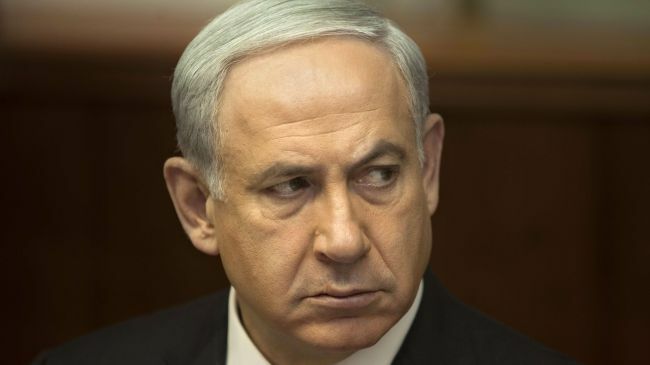 Netanyahu said on Sunday, "We are cooperating with the United States and together with the international community taking the necessary steps to prepare ourselves for the possibilities of far-reaching regime changes, with consequences for the sensitive weapons systems that are there." Over recent weeks, Israeli officials have tried bring, what they call, Syria's chemical weapons into focus, and depict the alleged weaponry as a very sensitive case for the international community and not only for Israel. Syria has rejected the Western claims that Damascus has plans to use chemical weapons against militants, adding that the government is concerned that certain countries may deliver such weapons to terrorists. On December 17, Syrian Ambassador to the UN, Bashar Ja’afari said in letters to the UN Security Council and UN Secretary-General Ban Ki-moon that foreign-backed militants could use chemical weapons against Syrians and shift the blame to the government. Damascus is "genuinely worried" that Syria’s enemies could provide chemical weapons to armed groups "and then claim they had been used by the Syrian government," he said. 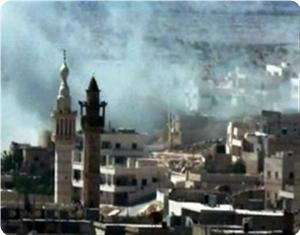 Syria has been experiencing unrest since mid-March 2011. Many people, including large numbers of Army and security personnel, have been killed in the violence. The Syrian government says that the chaos is being orchestrated from outside the country, and there are reports that a very large number of militants are foreign nationals. Iran’s Ambassador to Beirut Ghazanfar Roknabadi says the Syria unrest is a US-Israeli plot aimed at safeguarding Israel’s security. “What is currently going on in Syria is a US-Zionist plot to destroy the country’s security and stability with the aim of protecting the Zionist regime’s security,” Roknabadi said in an interview with al-Manar TV on Thursday. Regarding Iran’s six-point proposal on the resolution of the Syria unrest, he said the plan hinges on ending the violence and bloodshed, restoration of peace in all areas and the start of dialog between the opposition and the Syrian government to help the establishment of a national reconciliation government. Roknabadi said once the national reconciliation government is formed, the ground would be prepared for parliamentary elections. He added that the new parliament will also form a new government that will be tasked with carrying out reforms, under the supervision of Syrian President Bashar al-Assad, and thus pave the way for the presidential election in 2014. The Iranian diplomat said that Tehran has presented its plan to Syria, Russia and other relevant international parties, adding that in terms of content, it is in line with the plan introduced by the UN-Arab League envoy to Syria Lakhdar Brahimi. 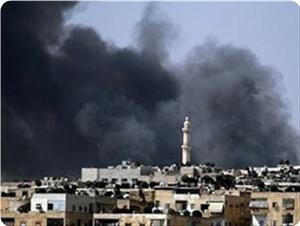 Syria has been experiencing unrest since mid-March 2011. On December 16, Iran unveiled details of a six-point plan to resolve the ongoing crisis in Syria, which calls for an immediate end to all violent and armed acts. The plan calls for sending humanitarian aid to Syrians following the end of all conflicts, lifting all economic sanctions imposed against the country, and facilitating the return of displaced Syrians to their homes. It also urges talks between the Syrian government and the representatives of all Syrian groups regardless of their political and social tendencies in order to form a national reconciliation committee. ISTANBUL, (PIC)-- Khaled Mishaal, the political bureau chairman of Hamas, has reached George Sabra, the chairman of the Syrian national council, for a discussion of the conditions of Palestinian refugee camps in Syria. A statement by the council on Thursday said that Mishaal in the phone call, the first of its kind, appreciated the council’s solidarity with Palestinian refugees in Syria, who came under aerial bombing prompting thousands to flee to Lebanon and to other areas in Damascus and its outskirts. Mishaal also appreciated the political and field leaders’ keenness on sparing the refugee camps any possible massacres after military forces were mobilized on the outskirts of Yarmouk and Palestine refugee camps. For his part, Sabra reiterated the Syrian people’s concern with the Palestine cause and expressed understanding to the call by various parties to neutralize the Palestinian refugee camps in Syria while keeping the Syrian regime and its affiliates away from them. An agreement on Wednesday allowed Palestinian factions to assume responsibility of security within the refugee camps while not allowing the Syrian regular army to enter them and at the same time getting fighters of the Syrian free army out of them. 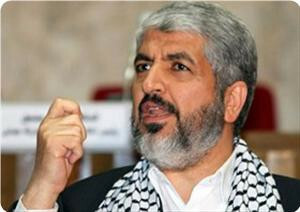 The agreement was welcomed by both Mishaal and Sabra, the statement said, adding that they both agreed on importance of maintaining coordination between the council and Palestinian national factions in the upcoming stage especially regarding the conditions of those refugee camps that host around half a million Palestinians. BEIRUT, (PIC)-- Hamas Political Leader Khaled Mishaal made numerous contacts concerning bombing and air raids of the Yarmouk refugee camp in Damascus, where number of martyrs and wounded were reported, in addition to the displacement of thousand people from the camp. The Information Office of the Movement stated, on Thursday that Mishaal has contacted the Special Envoy of the United Nations and the Arab League to Syria Lakhdar Brahimi, and the Secretary General of the Arab League, Dr. Nabil Elaraby, and urged them to exert more efforts in order to stop targeting Yarmouk refugee camp, and to provide humanitarian assistance and emergency relief to the children of the camp who live in harsh conditions. Mishaal made many contacts with some relevant parties in order to spare the Yarmouk refugee camp and Palestinian camps the conflict in Syria, stressing on the movement's position and keenness to stop the bleeding of the Syrian and Palestinian people. GENEVA, (PIC)-- The Euro-Mediterranean Observatory for Human Rights (EMOHR) called for providing protection and emergency relief to Palestinian refugees in the refugee camps of Syria, especially after the military escalation against it by regime forces. EMOHR said in a statement on Thursday that hundreds of families were forced by the clashes to leave the camp and to flee towards the Syrian borders with Lebanon and Jordan. He added that the Palestinian refugees displaced to Lebanon, about two thousand refugees, suffer from clear neglect by UNRWA, where they were not provided with housing, food, and medical care. The Observatory called on UNRWA and UN agencies to provide immediate relief to the Palestinian refugees who fled their homes in search of a safe haven. In the same context, the Observatory stressed the importance of tracking international condemnation to the shelling by the Syrian regime of the Palestinian refugee camps in the country, and to take practical steps to deter the continuing attacks on refugees in a land protected under international law. He noted that the existence of militants inside the refugee camps of UNRWA, does not give a pretext for bombing civilians indiscriminately, because it is considered a serious violations of the law, classified as war crimes. The human right Observatory concluded by calling on the United Nations to bear its responsibility to act immediately to pull the weapon from the refugee camps in the Syrian territories, and called on all the conflict's parties to neutralize the Palestinian refugees, who estimated more than 520 thousand refugees. On the other hand, the Islamic Action Front Party in Jordan denounced the bombing of the Syrian regime to the Palestinian refugee camps, describing it as "criminal massacres". Sami Abu Zuhri, Hamas spokesman, told PIC that the movement appreciated this plan to save the Palestinian refugees, through taking out all the armed parties, including the Syrian regular army, in the camp, to ensure calm and security for all the refugees. I hope that all relevant parties will abide to prevent serious security deterioration that threatens the life and security of Palestinian refugees in the Yarmouk refugee camp, Hamas spokesman said. The representatives of the Palestinian factions in Syria agreed on a plan to stop the killing and destruction of Yarmouk camp south of the Syrian capital city, after the aerial bombardment and clashes between supporters and opponents of the Syrian regime. According to the United Nations, the refugees have moved to public parks in Damascus, while thousands of them have moved to Lebanon, according to Lebanese security services, while sources in the Lebanese General Security that nearly 2200 Palestinians entered from Syria to Lebanon since Saturday and until Wednesday morning. Dozens of Syrian tanks are surrounding the Yarmouk refugee camp, and are preparing to raid it at any moment and regain control over it after the Free Army had declared full control over the camp on Monday evening. Eyewitnesses told Quds Press agency, that the majority of the camp's residents have left their places of residence and became homeless, and considered that the announcement of the liberation of the camp was a provocation to the Syrian authorities. 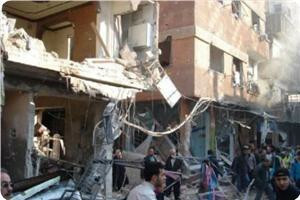 The Association for the Palestinian-Iraqi Refugees confirmed that the events taken place in the Yarmouk refugee camp in the Syrian capital Damascus; including the bombing and clashes inside the camp, led dozens of families of Palestinian-Iraqi Refugees to flee outside the camp, noting that most of them headed towards the Office of the High Commissioner for Refugee Affairs (UNHCR). The Association criticized in a statement on Tuesday the UNHCR's neglect for the Palestinian-Iraqi refugees during Syria's events, through closing al-Hol refugee camp in front of them, forcing them to leave it and ignoring their demands. The statement added: "The UNHCR still insists, till this moment, on preventing the refugees to enter al-Hol camp, exposing their lives to danger", noting that a number of families are still besieged inside the Yarmouk refugee camp, unable to leave it. The Association of Palestinian-Iraqi Refugees demanded the High Commissioner for Refugees to save the families of refugees and provide them with safe shelters outside Syria. Meanwhile, demonstrators in Gaza demanded the international community, the Secretary-General of the United Nations Ban Ki-moon and the international organizations to immediately intervene to stop the bloodshed of Palestinian refugees in Syria, particularly in Yarmouk camp. This came during a protest called for by the Palestinian NGO Network in Gaza on Tuesday, in front of the headquarters of the "UNRWA" in the center of Gaza City, where the protestors raised slogans condemning targeting refugees’ camps in Syria and calling on the United Nations to intervene. 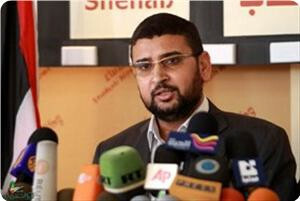 Amjad Al Shawa, the director of the Network, called on the Syrian parties not to involve the Palestinian camps in the Syrian internal conflict. 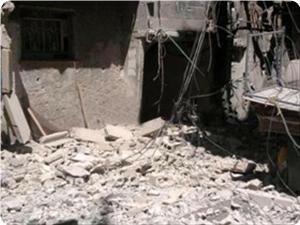 "The bombings and targeting Palestinian refugees in Yarmouk camp, especially in the recent days, have resulted in killing and wounding scores of Palestinians and destroying houses and properties as well as displacing thousands", Al Shawa added. He also urged the Palestinian leadership to intervene to pressure the Syrian authorities to stop targeting the camps, and called UN Relief and Works Agency for Palestinian refugees to seriously protect and help refugees in Syria's camps. For their part; the national and Islamic forces in Gaza condemned the massacre committed against the Palestinian people in the Yarmouk camp, and renewed its call for all parties in Syria not to transform the Palestinian refugee camps to a battlefield. This came during an emergency meeting of the National and Islamic Forces in the headquarters of the Popular Front on Tuesday, to discuss the latest developments in the Palestinian refugee camps in Syria, after the Yarmouk massacre and the displacement of the Palestinian refugees. 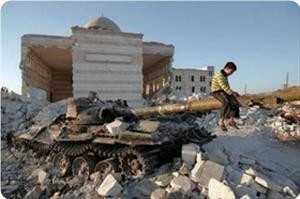 The Forces called for not involving the Palestinian camps in Syria in the Syrian internal conflict. For his part, Ahmed Moaz Al Khatib, the head of the National Coalition of the Syrian revolutionary forces, stressed that the Palestinians in Syria are "an integral part of the Syrian people's revolution for freedom and dignity." Al Khatib also accused in a letter, addressed to the Palestinians in Syria, the regime in Damascus of trying to involve the Palestinians in the conflict through putting restrictions on them to scare them. He hailed the positions of the Palestinian leaderships in Fatah and Hamas which have condemned the Syrian regime's aggression against the Syrian people and which have supported the right of Syrians to freedom and dignity. A European committee launched an urgent relief campaign to rescue the Palestinian refugees fleeing the refugee camps in Syria, after the regular army planes bombed them. The European al-Wafa campaign, based in Brussels, announced initiating the implementation of an urgent project for the relief of Palestinian refugees displaced from Syria's camps to the refugee camps in Lebanon. Mohammed Hanoun, the campaign coordinator, said that there were tens of thousands of Palestinian refugees in Syria living in extremely difficult conditions, due to the battles which affected their camps, particularly the Yarmouk refugee camp in Damascus, where nearly two hundred thousand Palestinians live. He stressed that the European al-Wafa campaign decided to intervene immediately to the rescue of Palestinians in Syria, pointing out that aid will arrive to Lebanon next Sunday, for helping those displaced from the refugee camps in Syria to the camps in Lebanon. The campaign coordinator called on all the Palestinian and Islamic institutions and personalities and the free people around the world to contribute to funding this campaign. The European al-Wafa campaign had carried out several relief operations for Palestinian refugees fleeing from Syria's camps to Jordan and Lebanon, during the past few months. Hamas movement strongly condemned the continuing attacks on Palestinian refugee camps in Syria using artillery and warplanes. The movement said in a statement on Sunday that dozens of casualties were reported today in Yarmouk refugee camp after a Mig fighter jet bombed it. Hamas said that it condemns both the aggression on the Syrian people and the Palestinian refugees in Syria, and strongly denounced the aerial bombing of the Yarmouk refugee camp that led many refugees to leave their homes and seek other safer places. Hamas expressed deep pain over the continuing bloodshed in lines of the Palestinian refugees as well as the Syrian people and extended condolences to families of the victims. It hoped speedy recovery for the wounded and hoped for a speedy end to the bloodletting. Hamas wished safety for the Palestinians wherever they maybe and prayed that Allah would protect the Syrian people and to realize their aspirations for freedom and dignity. 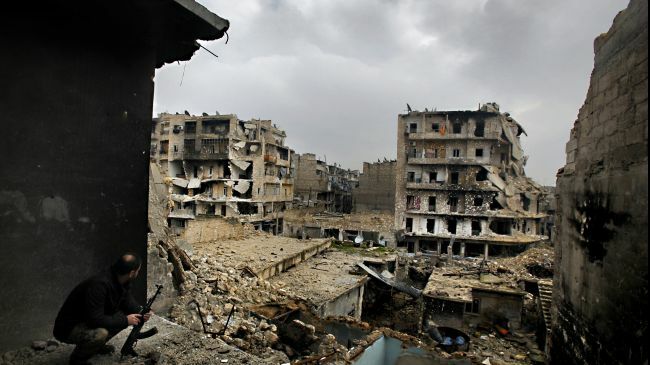 Four Palestinian refugees were killed in the Yarmouk refugee camp in Damascus on Wednesday bringing the number of Palestinian victims in the ongoing Syrian internal strife to 731 since mid-March 2011. The group for Palestinians in Syria announced in a statement on Thursday that the four were killed in the armed confrontations between the regular Syrian army and the free army of the opposition. It said that one of the four, Yehya Eliwa, was killed at the hands of a sniper while on his way to his house while two others, Marwan Khatib and Mohammed Abdulwahed, who fled from persecution in Iraq, succumbed to wounds sustained in an earlier bomb explosion near the Quds mosque and named the fourth as Walid Khatib. The group underlined that the Palestinian refugee camps in Syria were suffering growing shortages in bread and fuel. A senior Iranian lawmaker says the US decision to recognize the so-called National Coalition of Syrian Revolutionary and Opposition Forces (SNCROF) is in line with Washington’s policy to organize opposition groups and increase assistance to the militants in Syria. “The global arrogance tries to organize the terrorists in a constructive fashion and play a more active role in increasing assistance to the Syrian opposition by adopting certain policies,” Spokesman for Majlis National Security and Foreign Policy Committee Hossein Naqavi-Hosseini said Wednesday. He said that those countries leading the anti-Damascus front moved to recognize the Syrian opposition as the legitimate representative of the people of Syria regardless of the fact that interference in the domestic affairs of other countries is a blatant violation of the UN Charter and international conventions. The Iranian lawmaker said that the West and some regional Arab countries plan to fan the flames of war in Syria by sending forces into the country and added that the US and Israeli weapons confiscated from terrorists in Damascus proved the foreign interference in the Arab country. “The confiscation of weapons made by the US and the Zionist regime (Israel) from the Syrian opposition bears testimony to the fact that the reason behind the crisis in Syria must be traced beyond the borders of the country,” Naqavi-Hosseini added. 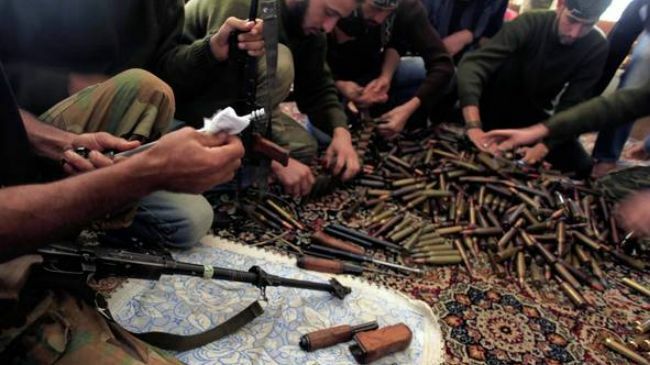 The UK, France, Turkey, and the [Persian] Gulf Cooperation Council member states have also recognized the militants fighting the Syrian government. Damascus says the chaos is being orchestrated from outside, and there are reports that a very large number of militants fighting the Syrian government are foreign nationals. The Work Group for the Palestinians in Syria confirmed that two Palestinian refugees died on Monday in the Yarmouk refugee camp in Damascus. 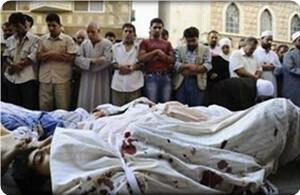 The number of Palestinians, who have been killed since the start of the Syrian crisis in March 2011, rose to 727 martyrs. The group said on Tuesday, in a report that deals with the situations in the Palestinian refugee camps in Syria, that one of the two martyrs, who died yesterday in the Yarmouk camp, was killed under unknown circumstances while the other was killed during clashes in the refugee camp. The report also pointed out to "the continuation of the environmental crisis caused by the accumulation of waste in street 15, amid the responsible parties' neglect, noting that a group of doctors and environmental experts have warned of the dangers of this waste. The Work Group for the Palestinians in Syria expressed its concern at this crisis "that may cause diseases and epidemics, which would infect the Palestinian refugees in the camp", and called the responsible authorities in the camp to fulfill their duties.